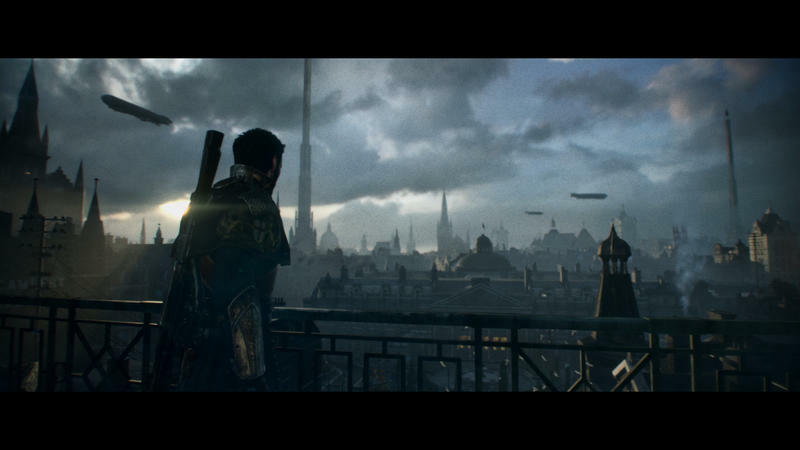 The first trailer for The Order: 1886 had me excited immediately. Developer Ready at Dawn advertised the trailer as being entirely in-engine, and as a hint of what the PlayStation 4 is capable of, it was tantalizing. After some delays, the game is finally here. It delivers on the promises of the trailer, but does it do anything else? The Order puts you in the steampunk gear of Galahad, a knight in service of England, member of the Knights of the Round Table; yes, those knights and that table. The knights are locked in a long running battle against those they call Half Breeds or Lycans, known more popularly as werewolves. As we pick up Sir Galahad's story, the Half Breeds seem to be organizing and changing up their tactics. Galahad and his fellow knights, as you might guess, want to know why. The Order: 1886 is, from a technical perspective, immaculately crafted. This is a gorgeous game. It's obvious from the get-go that the team was trying to make the most cinematic game it could and in that respect, it's a total success. The game runs at a silky smooth 30 frames per second. It's not the magic number 60, but in this case it really does the job of establishing the game as a cinematic experience. The game moves seamlessly from game to cutscene and back, as everything is rendered in engine, and it's a real treat for the eyes. This results in very quick loading times, as well, since the game doesn't have to load in and out of its frequent cinematics. There's also no jarring shift in quality when you take control. Nothing drops in visual fidelity, including minor background details. Textures, models, and animation are all utter perfection as well. While I'm not going to suggest that these characters could be mistaken for real actors, they consistently, believably animated. The knights' steampunk gear is finely detailed across the board. Nothing you look at feels rushed. Never at any moment is the cinematic illusion broken. Light plays a major role in The Order, whether you're skulking around at dusk, carrying a lantern through a rail tunnel, or in the midst of a gun fight. Shadows cast everywhere realistically and dynamically. It's impossible to overstate just how good looking this game is. There are great-looking games on PC that run at higher resolutions and frame rates, but the believable, cinematic world of The Order: 1886 is still one of the best realized game worlds I've ever seen. The Order: 1886 is immaculately crafted, but its genius ends there. Technical perfection is marred by a soulless story and workmanlike mechanics. The Arthurian steampunk setting is well-realized through art and story details, but it's not really anything terribly new. Things like Pride and Prejudice and Zombies and Abraham Lincoln: Vampire Hunter have given us looks at this type of fiction before. It's the sort of concept that's fun on a mash-up t-shirt, but loses its luster when given its own game or world. The story that takes place in this superficially entertaining world isn't much deeper, either. It gets the job done when it comes to giving the main character something to do, but that's it. While you might not be able to list out the details one to one, the path of mysteries, revelations and betrayals is one we've seen a million times. That isn't always a game's downfall, but the story is supported by characters that are solidly acted but ultimately uninteresting. Even as the story took turns, I was unable to get invested in Sir Galahad or any of his companions. They spoke in hushed tones of conspiracy, brotherhood, and liberty, and none of it was anything other than serviceable. When you're not watching the story unfold, you'll split your time equally between cover-based shooting and interaction driven by quick-timer events. The shooting, without question, gets the job done. It works smoothly and is very rarely frustrating. The quick-timer events don't overwhelm the game. As you might expect, this is all very linear. You're shown a sprawling Victorian city and your character and his compatriots know exactly which rooftops to climb over at all times. Every alleyway that isn't contained within a cutscene is a double dead end. And then as you try to interact with the game, it dies bit by bit. Characters open doors and initiate complicated animations for you. The only things to pick up are newspapers and old-timey pictures of people you don't know that aren't relevant to the story. You can rotate them around a bit and flip them over, but that's it. It's a bit like an amusement park ride: look, but don't touch. On the one hand, I want to commend Ready at Dawn. The studio made some of the PlayStation Portable's best games with its take on the God of War games. Then it made the jump to PlayStation 4 and right out of the gate have given us a piece of software that shows us just what the system can do. The Order: 1886 is a technical masterpiece. That focus is the game's greatest strength, but also its downfall. While story, characters or mechanics can prop up a technically deficient game, it doesn't work the other way. The Order: 1886 is an incredible tech demo for the PlayStation 4 and, like Ryse: Son of Rome on Xbox One, will likely be one of the best-looking games on the system for quite a while. It stands tall and should be commended for that. The flat characters, paint by numbers story, and strictly workable mechanics, though, keep the game from being anything more than just a technical demo of the engine Ready at Dawn has created. Disclaimer: We purchased a copy of The Order: 1886 at launch using company funds. We played through the game's campaign before writing this review.